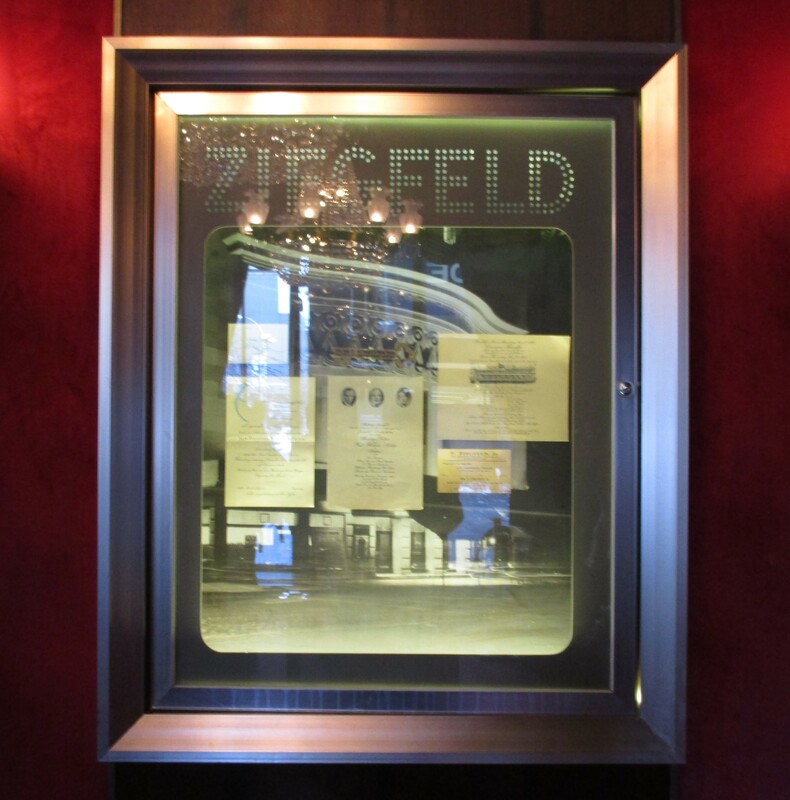 The legendary Ziegfeld Theater closed its doors for good on Thursday, January 28th with a 10 PM sold-out showing of Star Wars: The Force Awakens. What a way to go! 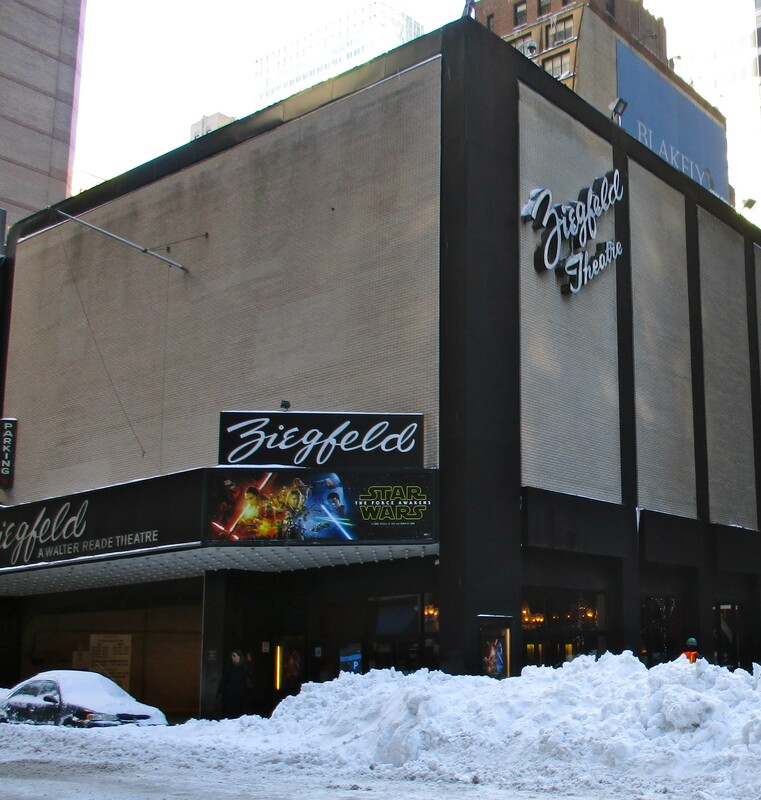 We’d heard the rumor for just over a week that the place would be shutting down to be renovated into an event space, so Geoffrey wisely suggested we head over for a matinee of Star Wars on the day after Winter Storm Jonas dumped two feet of snow on the city. It proved to be a good call, because I had, for whatever reaosn, never been there before. Better late than never, you aren’t kidding. 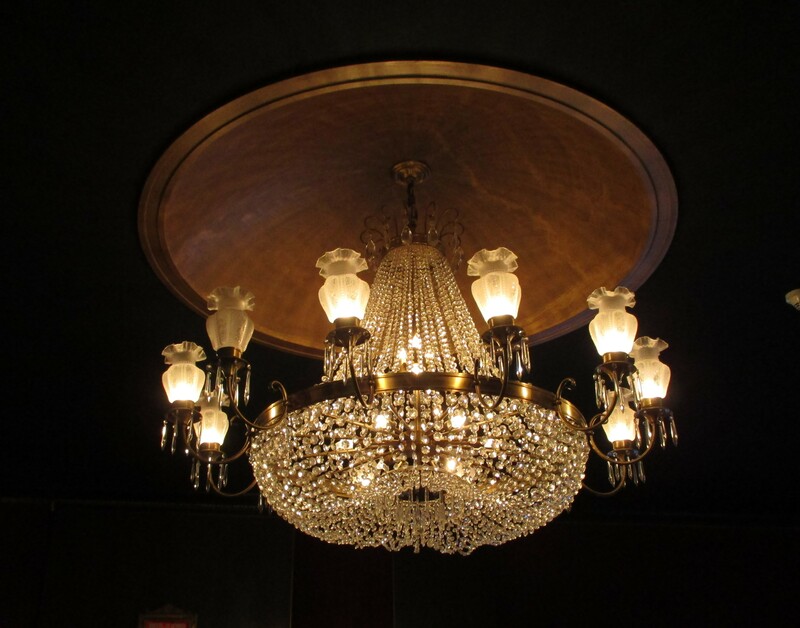 I took a few photos of the interior of the lobby spaces, but they didn’t turn out that great because I never like to use my flash. 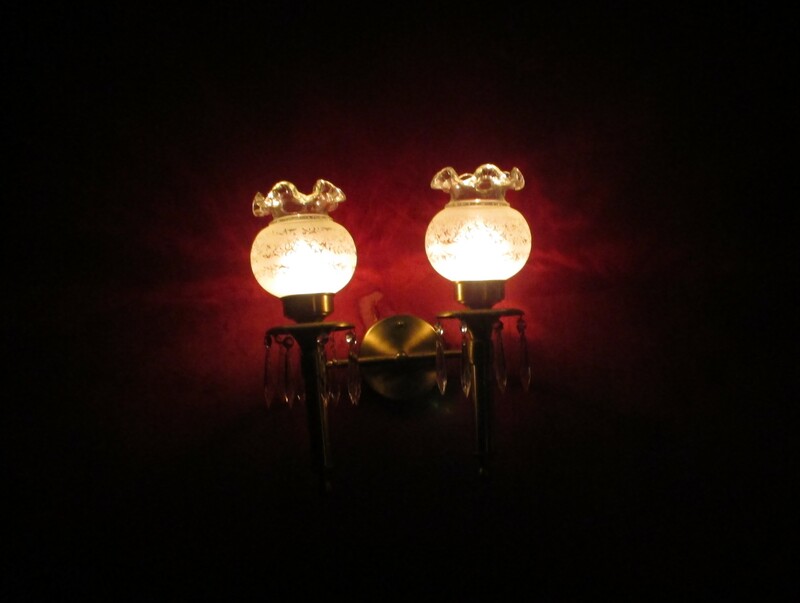 The thing I love about these photos though is that their darkness really does accurately reflect the glamour of the red velvet walls, and ornate brass and crystal light fixtures. Brightly lit photos would just ruin the mood. 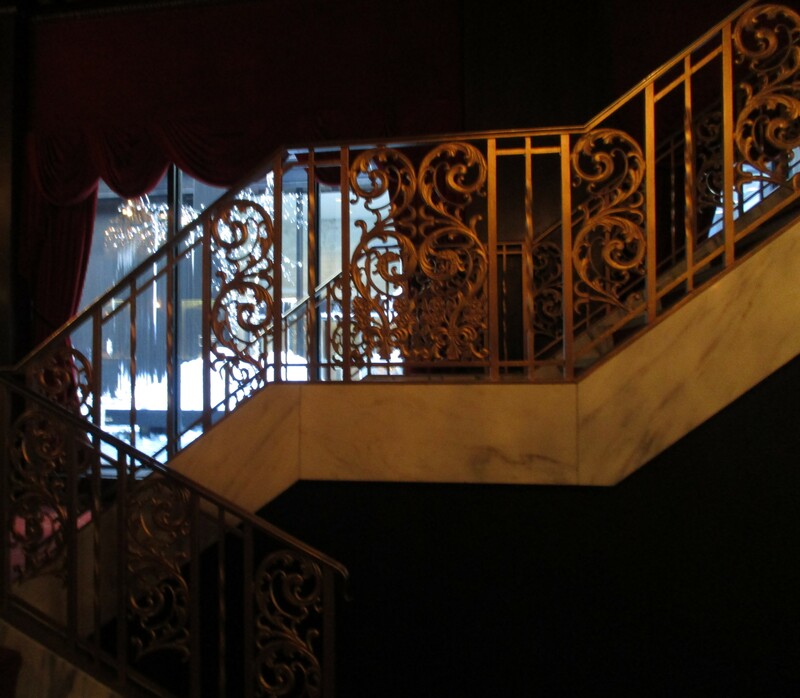 Lobby staircase to the second floor. 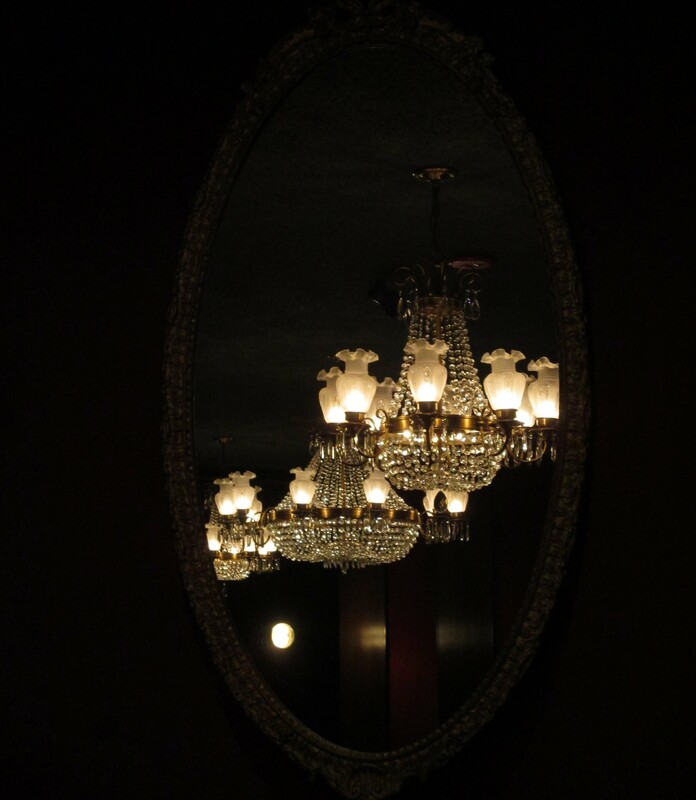 This is the reflection of a chandelier shot into an oval mirror. 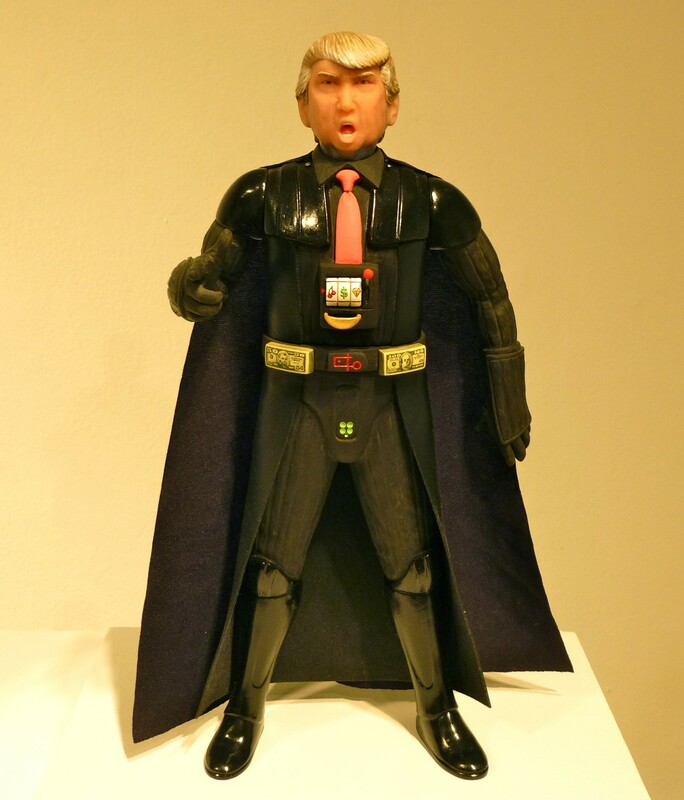 We had a great afternoon because The Force Awakens is just fantastic (Adam Driver as Kylo Ren: swoon), even though there was a tinge of melancholia in the experience, understanding that this beautiful movie palace would s0on join entertainment venues from Roseland Ballroom to CBGB that get closed down the name of the almighty dollar. They aren’t very sentimental in New York City. 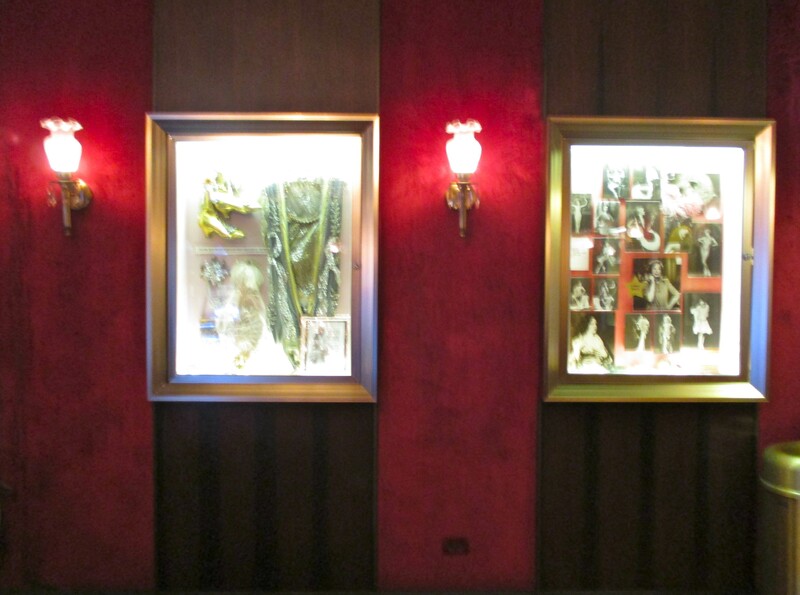 Read more about the final night at the Ziegfeld at This Link! 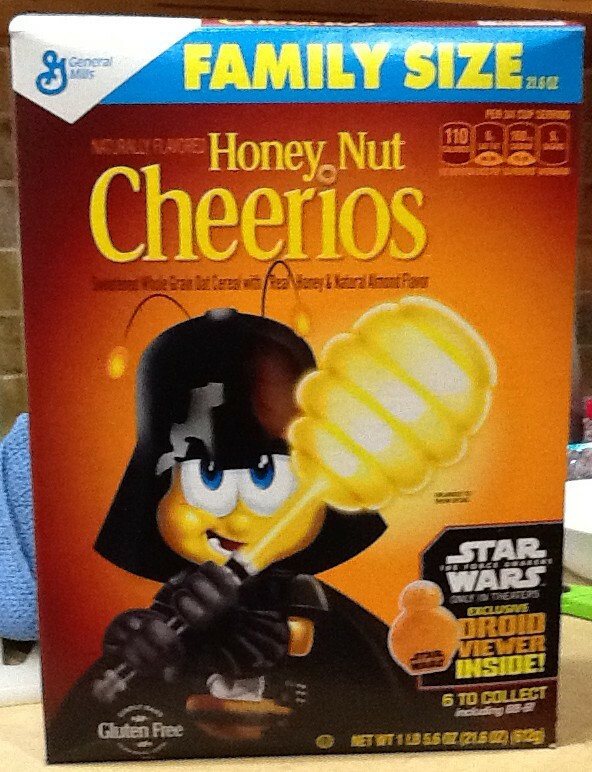 I don’t know why seeing Darth Bee this Honey Nut Cheerios Box surprised me. But it did. 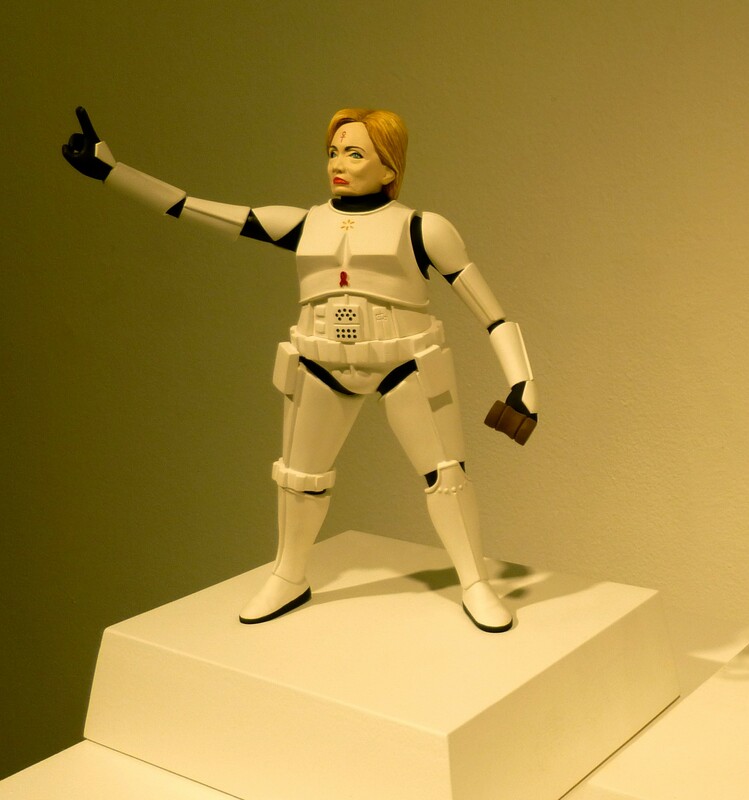 To find out more about this sculpture of Hillary Clinton in a Stormtrooper uniform, which was part of Michael Leavitt’s 2013 art exhibit, Empire Peaks, visit This Link. Hillary for the win in 2016!